These Irish coasters feature shamrocks and Celtic knots. 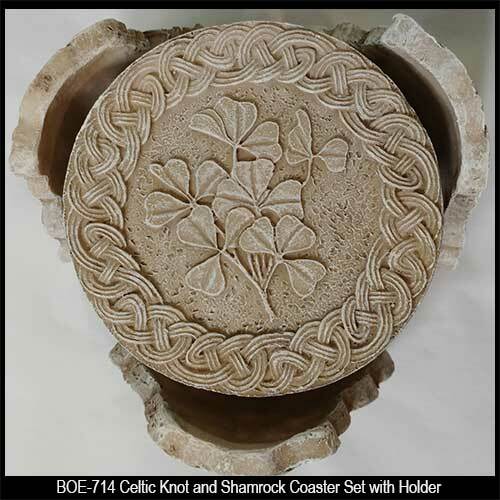 The matching coaster holder is enhanced with a Celtic knot design. 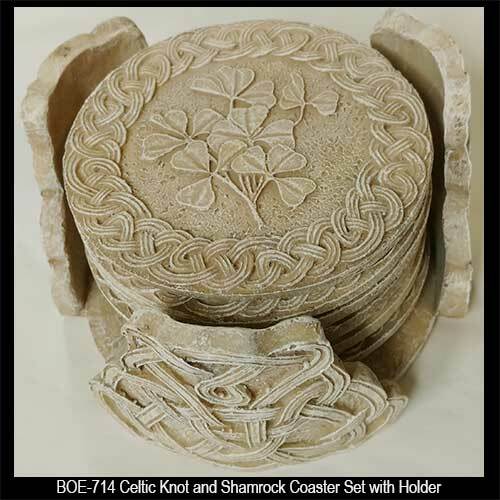 This Irish coaster set features six, 3 1/4" round, coasters with Celtic knots and shamrocks along with a 4" wide x 2 1/2" tall holder that is decorated with Celtic knot-work. 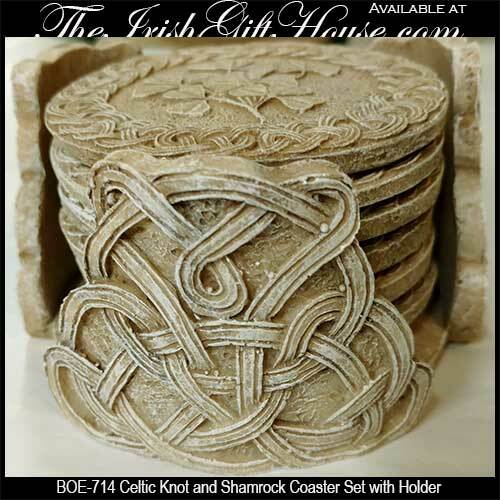 Both the Irish coasters and the holder feature padded feet and the set is gift boxed with shamrock and Celtic knot history cards, complements of The Irish Gift House.